ACM40418 Certificate IV in Veterinary Nursing has now replaced this qualification. There are a limited amount of places available for ACM40412 Certificate IV in Vet Nursing available to WA students. We encourage WA applicants to watch the 'Understanding your options' video which can be found on the Course Entry details tab. Our nationally recognised Certificate IV in Veterinary Nursing is designed to provide you with the knowledge and skills required to commence your career as a veterinary nurse or to gain a national qualification as an experienced professional. Taking your love of animals and a desire to seek a professional career in caring for animals, this course will provide you with the necessary hands on skills and theoretical knowledge to work in the veterinary and animal care industry. Due to the intensive nature of this program, our students consistently enjoy a high graduation rate with very strong employment prospects. You will be recognised as a qualified and registered veterinary nurse in Australia. Read our helpful tips on how to prepare a successful application. We are a dedicated animal care college. No plumbing or hairdressing courses here! 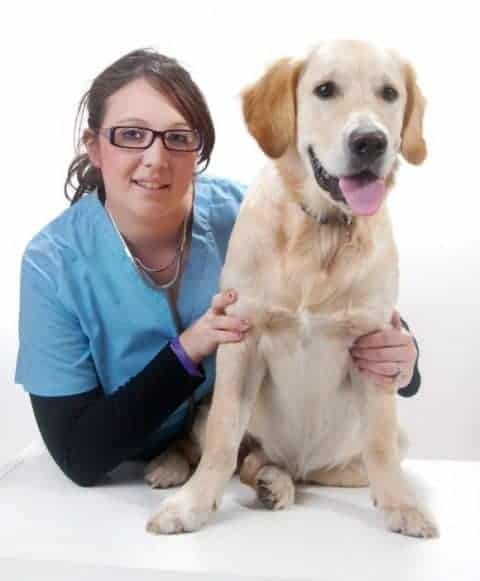 We are an independent animal care and veterinary nursing registered training organisation. We do not have third party arrangements with other training providers to acquire content or distribute qualifications. We take pride in developing and delivering our own course material. At AVT, we combine a high standard of theoretical knowledge taught in our facility located in Bentley or available online and combine it with intensive practical training. This allows you to gain the competence and confidence required for an exciting and rewarding career in a variety of animal care careers. Are you choosing a registered training organisation? AVT is fully registered by the Australian Government training registration authority ASQA (Australian Skills Quality Authority) and the qualification offered is the nationally recognised Certificate IV in Veterinary Nursing. We are supported and endorsed by the Australian Veterinary Association. Our registration authority can be viewed on the training.gov.au website, which is the Australian Government’s website for details of registered courses and training providers – View our details here. We strongly recommend you search the training.gov.au website for any training organisation you maybe considering. ACM40412 Certificate IV in Veterinary Nursing is offered via two study modes including Online eLearning and On-Campus Full-time. who are seeking a self-paced course. Duration This is a self-paced course, allowing you to study at a pace that suits your lifestyle, up to two years at your own pace. Delivery method Online access to learning centre with full support of our educators via phone, email or Skype. Attendance On-campus attendance is not required. Non-compulsory, practical workshops and assessment sessions are offered throughout the year at our Bentley campus. Practical training You are required to participate in 500 hours of practical workplace training in a veterinary practice. A placement will be pre-arranged by our supervised work practice placement program if you are based in the Western Australian, Perth metropolitan area. For non-Perth metropolitan based residents, if you have not already secured a work placement we will provide you with a comprehensive resource to assist you in securing a work placement in your local area. Assessment methods Range from online assignments and tests, oral testing via telephone or Skype, case studies, and video submissions of practical tasks and on-site face-to-face assessments (if location permits). Course commencement At any time of year to suit student and subject to support from a Veterinary Practice. Due to the upcoming changes for this qualification, please see the 'Course Entry' tab for more detailed information about registration, application and start dates. The Supported online eLearning program gives you access to all learning materials and units via our online learning system, as well as all presentation materials from lectures delivered on campus at the time. You will not be required to attend lectures. You will be required to study one unit at a time, working through the learning material, supplemented with the required textbook and recommended references. Assessments and assignments are all submitted via our online learning system. Support is available to you via phone, email or Skype. Our training centre is open during both the school terms and most school holidays. If you are a Perth based student, AVT will pre-organise your work placement in consultation with you. We endeavour to cater for specific requests where possible such as your availability on given days of the week. If you are not Perth based, you will need to organise your own work placement to suit your location and commitments. 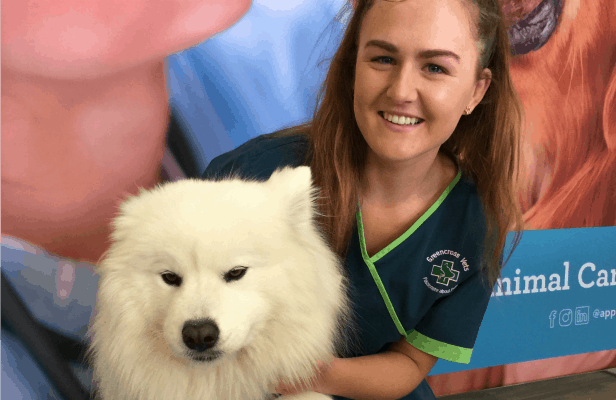 Whether you are organising your own placement or you have a pre-organised work placement, we always recommended attending a veterinary practice on a regular basis throughout your studies, eg one day a week or one day a fortnight. Depending on your weekly or fortnightly attendance throughout the course, you may also need to complete several weeks or two week blocks to achieve the minimum required 500 hours. If you already employed in a veterinary practice, your work placement hours will usually be done as part of your normal work. For additional information on workplace practical training see the Work Placement section in the Frequently Asked Questions at the bottom of this page. Duration One year full time campus-based course. Delivery method Face to face group lectures, activities, tutorials and practicals at our Bentley, WA training centre with additional off-site excursions. Attendance You are required to commit to 4 days a week including 2 days on-campus in Bentley and 2 days in a veterinary practice during school terms. Non-compulsory, practical workshops are also offered throughout the year at our Bentley campus. Practical training You are required to participate in 500 hours of practical workplace training in a veterinary practice. A placement will be pre-arranged by our supervised work practice placement program. Assessment methods Range from assignments and tests, case studies, practical tasks and on-site face-to-face assessments. Next course commences February 2019. Applications now open. As a full-time student you will attend our campus in Bentley, Western Australia to participate in face-to-face lectures, group activities, tutorials and practical lessons. You will also be invited to off-site excursions and field trips to various animal related establishments. We run two separate classes to ensure you receive a personable learning experience. Every student has the opportunity to contribute and participate actively in classroom and practical sessions. In addition to classes we also ensure students have access to ongoing tutoring, support and instruction. The full-time veterinary nursing course lasts for 1 year, starting in February with students graduating mid-December, qualified and ready for employment. The full-time classes run for 4 terms, similar to school terms. Students attend our training centre for 2 days a week (9.00am–4.00pm), followed by 2 days a week in one of our supporting veterinary practices. This cycle repeats throughout the four school terms. During term breaks (school holiday times) students are not required to attend class or their work placement (ie veterinary practice) if all course requirements have been met during school term. 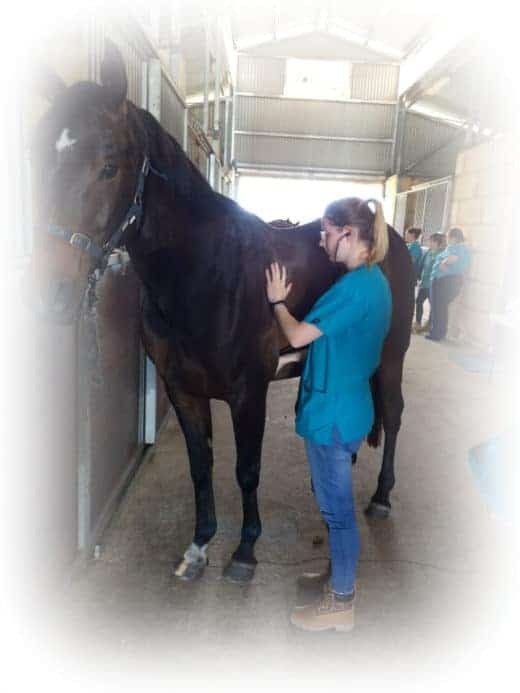 In addition to the hands-on practical sessions you will undertake as a student at our Bentley location, you will also have the opportunity to participate in various off-site excursions and field trips to various animal related establishments including Veterinary Specialist Centres, Murdoch University Veterinary School, animal refuges and shelters as well as equine (horse) and exotic animal (small mammals such as guinea pigs, ferrets as well as birds and reptiles) facilities relevant to your training. Your workplace practical training will be organised for you in a high quality Perth, WA based veterinary hospital. AVT has been organising work placements in Western Australian veterinary hospitals since 1999 and has formed over 100 long term relationships with high quality veterinary hospitals. So when it comes to the essential on-the-job veterinary nursing practical training you will be placed in a supportive veterinary hospital in which you will receive hands-on training, mentoring, supervision and valuable experience in all aspects of veterinary nursing over the duration of your course. You are required to complete 500 hours of workplace practical training and our course fee includes insurance cover for the mandatory work placement you take during your course regardless of the course delivery method you choose. Enrolments for our next on-campus course will be in February 2020. If you would like a more flexible study option, we encourage you to apply for our online course. For Perth metropolitan based students, we will organise your work placement and for students located throughout Western Australia, you may also be eligible for the Jobs & Skills WA (formerly FutureSkillsWA) subsidy which dramatically reduces the cost of the course. Subsidised places are offered upon successful completion of the application and interview process and are subject to availability. ACM40418 Certificate IV in Veterinary Nursing has now replaced this qualification. There are a limited amount of places available for ACM40412 Certificate IV in Vet Nursing available to WA students. We encourage WA applicants to watch the ‘Understanding your options’ video which can be found on the Course Entry details tab. What subject units will I study? All Certificate IV in Veterinary Nurse students are required to complete the following units during their course. These units are internal units of study and closely follow a national training program developed by veterinarians to provide a quality knowledge base for veterinary nurses. This unit of competency covers the process of providing assistance to experienced staff in the capture, restraint and assessment of animals and the preparation, application and documentation of treatments. This unit of competency covers the process of assisting with the preparation of patients (animals) and the theatre for surgery, providing pre- and post-operative patient care and cleaning surgical and theatre equipment in a veterinary clinic. This unit of competency covers the process of treating patients (animals) on a daily basis, maintaining clinic hygiene and assisting with inventory and clinic security. This unit of competency covers the process of identifying animals and interpreting their body language and behaviour in the context of an animal control and regulation environment during day-to-day activities. This Unit of Competency covers the process required by an employee to contribute to workplace health and safety processes where there is responsibility for own work outputs and possibly limited responsibility for the work output of others. This unit of competency covers the process of preparing, presenting and distributing food and water for animals under supervision and according to workplace diet requirements. This unit of competency covers the process of effectively participating in workplace communications in an animal care and management environment. This Unit of Competency covers the process required to comply with infection control policies and procedures in animal care workplaces and relevant field locations. This Unit of Competency covers the process of coordinating patient admission and discharge. It also includes providing initial veterinary nursing care to patients (animals) and grief support to clients (animal owners). This unit of competency describes the skills and knowledge required to identify rodents and rabbits and their behavioural and physical needs, and provide daily care requirements. This unit of competency covers the processes required to gather information on medications and services for animals and relate these to individual animal requirements and audience needs. This Unit of Competency covers the process of preparing, cleaning and maintaining theatre and equipment as well as preparing personnel for the performance of surgical procedures. This Unit of Competency covers the process of collecting biological samples and performing pathology procedures. The integrity of the sample must be maintained in accordance with veterinarian instructions when conducting clinic examinations and in preparing consignments to diagnostic laboratories. This Unit of Competency covers the process of implementing and completing imaging routines, in accordance with established industry sequences and clinic policies and procedures, and follow specific instructions from the veterinarian. This Unit of Competency covers the process of providing the skills to implement medical nursing routines, including the preparation and handling of patients (animals) and equipment for specific routines. This Unit of Competency covers the process of preparing the surgical environment and providing total support for the surgeon. The Unit describes the skills and knowledge required to prepare for, and provide support during and after, routine and non-routine surgical procedures, including monitoring patients while they are under anaesthesia. 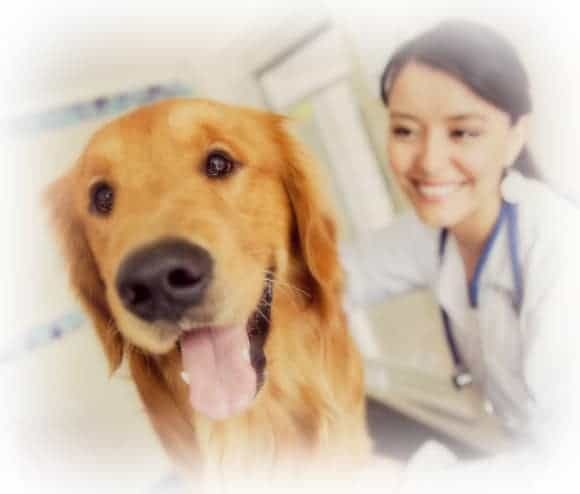 This unit of competency covers the process of compiling patient (animal) and client (animal owner) histories, maintaining records and consulting the veterinarian as required. This Unit of Competency covers the process of maintaining veterinary supplies, controlling stock, maintaining clinic accounts and preparing and processing clinic correspondence. This Unit of Competency covers the process of providing advice to clients (owners) about animal care, nutrition, behaviour and products. All advice must be provided in a competent manner and in accordance with clinic policies and procedures. This Unit applies to a veterinary nurse working under supervision of a veterinarian in a veterinary clinic or similar practice. Dental prophylaxis involves the oral examination in the conscious and anaesthetised patient, sub- and supra-gingival tooth scaling and polishing and the subsequent development of a homecare plan. 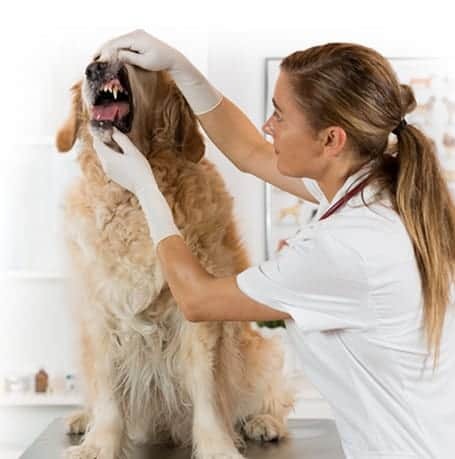 Veterinary dental nursing procedures are most often carried out on dogs, cats and horses. All procedures are carried out in conjunction with, and as an assistant to, the veterinary surgeon and in accordance with workplace health and safety requirements. This unit describes the skills and knowledge required to identify customer needs, deliver and monitor customer service and identify improvements in the provision of customer service. This unit addresses the knowledge, processes and techniques necessary to participate in environmentally sustainable work practices in animal care and management industry sectors. IMPORTANT NOTE TO WA BASED STUDENTS:- There are a limited amount of places available for ACM40412 Certificate IV in Vet Nursing available to WA students. We encourage WA applicants to watch the ‘Understanding your options’ video below. We encourage all Western Australian applicants to watch our "Understanding your options" video below. For a limited amount of time, WA applicants may be eligible to apply for ACM40412, the previous but still current, Vet Nursing qualification. This is likely to appeal to applicants who do not meet the pre-requisite requirement for ACM40418 Certificate IV in Vet Nursing. After watching the video below follow our online application wizard to confirm your options and commence your application. We look for evidence of your ability to study at the Certificate IV level. This may be based on your completion of school or other studies. We do not apply strict rules on what schooling you need to have completed and all students can present evidence of their ability to show equivalency to this level. It is recommended that you have completed or have equivalent language, literacy and numeracy at a year 12 high school level. Throughout this course, you will be required to read and interpret workplace policy and procedures, perform moderate level calculations and exercise various forms of workplace communications. For students that do not have evidence of previous studies we may ask you to complete one of our own aptitude assessments that may allow you to demonstrate your ability. These assessments are designed to assess your language, literacy and numeracy skills. We may ask you to take some further background studies if we feel you need extra study experience. We are looking for students with a background involving animals. This may be from experience in farming, pets and other animal related activities. We particularly value exposure to veterinary practice in the form of work experience or employment. We strongly suggest that you gain some practical experience in a veterinary practice prior to joining us not so you are skilled before starting, but to give you a realistic expectation of the type of work that you will be doing. We are looking for students with the commitment and personality that would likely support working in the industry. A professional, mature, positive, hard working attitude with good interpersonal skills are what veterinary employers are looking for in a veterinary nurse. There is a large practical component to the course that will require you to be physically involved with the restraint of animals, handling of animal feed e.g. large bags of food of up to 15 kg, and you may need to to stand for extended periods of time. You will only be offered a place in our courses if we genuinely feel you have a good chance of gaining employment in the industry once you have gained your qualification. If we are not able to offer you a place at the time of your application, we will advise you on the best plan for you to be considered at a later time. The selection process will also take into consideration the quality of the application and how the prospective student performs during a formal interview. Places are offered to supported e-Learning students based on the availability of a veterinary practice to support your training. If not already employed in a practice, you are required to locate a practice willing to support you. For prospective students we have a package we can send you which may assist you in finding a practice to support your studies. IMPORTANT NEWS: Jobs & Skills WA funding has now been confirmed for the 2019 Bentley based on-campus course. The fee for eligible^ students is $4409.71 (concessions may apply). What are the course fees and what does it include? Our fees reflect the quality of the continuous tuition and support you receive throughout the program. Pricing and payment plan options depend on course delivery option chosen as shown below. See the fees section of our policies page for more specific information on fees. $2,002 - $4,226 ^See important note below, subsidy and concession may apply. The Certificate IV in Veterinary Nursing is eligible for government subsidisation under the Jobs & Skills WA program for both our Full-time On-Campus and online study modes. The fee range shown above includes subsidised and full fee paying costs. All fees shown are subject to change at any given time. Subsidised places are limited and are subject to availability. The Student tuition fees are indicative only and are subject to change given individual circumstances at enrolment. Additional fees may apply such as student service and resource fees. Students not eligible for government subsidised fees will be subject to the full fee tuition cost of $15,400 for 2019 on-campus full-time enrolments. Payment plans generally run for 10 or 20 months depending on how long you have nominated to complete the course. Course costs will be reduced where credit transfers apply. For more information about Credit transfers visit our RPL page here. On successful completion you will be awarded the nationally recognised qualification, ACM40412 Certificate IV in Veterinary Nursing. You will receive a statement indicating completion of the individual units of study. You will also be invited to attend our graduation ceremony held in Perth in December every year where you will be formally presented with a certificate. At this ceremony, top achieving students are also recognised and receive both commendations and prizes. On completion of your course the most common career path is directly into a Veterinary Nursing role in a veterinary practice. You could also find yourself working in a zoo, shelter, local council, laboratory, farm, office, or even on the road as a pharmaceutical or food company representative. Alternatively, you may choose to pursue higher level qualifications such as a Diploma in Veterinary Nursing or even a Bachelor of Science. Nurse consultations providing behavioural advice, nutrition management, dental care, puppy school instruction, wound management and post operative care. provide information on how to make a full application if you have been successful at meeting the prerequisite criteria by prior learning or knowledge and skills gained in a workplace. advise you of what steps to take next if you do not meet the prerequisite criteria. Want to study On-campus in 2020? Register your details below and be one of the first to apply for ACM40418 Certificate IV in Veterinary Nursing On-campus Full-time course commencing in February 2020. We will send you a notification email as soon as applications are open (August 2019). To ensure you receive this email, we recommend adding mail@appvoc.com to your address book. Want a head start? This qualification requires students to meet pre-requisite requirements. You can start today by completing an animal studies qualification. For more information about the qualification entry requirements visit this page. Do you have a question about the Certificate IV in Veterinary Nursing? Choose a tab below and select a question to read the relevant answer. If you are unable to find an answer, feel free to contact us via our contact us page. Do I need to complete the Certificate III in Animal Studies to get entry into Certificate IV in Vet Nursing? Do you hold an open day? Do you send text books via mail, or is this course purely online? All Certificate IV in Veterinary Nursing students receive a hard copy text book at the commencement of the course. If you are studying via our online course you will be given access to the units and additional study materials digitally via our Online Learning System. For students studying on-campus, hard copies of the study materials are also supplied and included in the overall course cost. Please note: all course material for Animal Studies courses are provided digitally. How are units assessed? Will I have to sit tests or write essays? The units are assessed using various methods. These include multiple choice quizzes, tests, written assignments and practical assignments such as video and photographic evidence. How does your course and qualification differ from the Vet Nursing Courses at other training providers like TAFE? The qualification that you receive (Certificate IV in Veterinary Nursing) is the same as that awarded by TAFE, and are both nationally recognised. However, as a private RTO, we are able to offer our students a personalised learning experience. We arrange your practical work placements for you, within a reputable veterinary clinic in Perth that we can guarantee provide the training and mentoring required to learn the ins and outs of working within a clinic. We understand the stress that can be involved in having to secure yourself a work placement in a few short weeks once you have been accepted onto a course. By studying with us you can rest assured that we will arrange this for you using our fantastic relationships with over 120 vet practices in Perth. In terms of the theory components of the course; we teach the qualification requirements but we are also able to teach the extra areas that we, as veterinarians, feel would be valuable for a vet nurse to know. We are a private institution, so we are able to have more freedom to include many more practical classes, industry visits, teach particular areas to make our nurses a lot more employable. We also only deliver and offer animal care courses at AVT meaning everything revolves around animals for us! Whereas other training providers may offer a variety of courses from hairdressing to carpentry. We also like to provide all of our students with as much support as we can towards completing their certificate. Our class sizes are much smaller here which allows and encourages more student participation and more opportunities to do practical tasks at AVT. This also allows you experience of studying with us to be much more personalised – all lecturing and support staff members know all the students very well and are there to support our students throughout the course. I am not based in Perth, can I apply for your Online Vet Nursing course? Yes absolutely, non- Perth based students including those living in Australian rural areas and in the Australian eastern states are encouraged to apply. Although, please be aware that to be accepted onto the online learning course from outside WA, you must have a practical work placement arranged. Please see our Course Entry tab for the latest information on how to apply. I currently live overseas, can I apply for your on-campus full-time course? Will I need an international student visa? This answer specifically addresses international students who wish to reside in Australia whilst studying at our Bentley campus. Unfortunately we are unable to assist you with studying as an international student in Australia as we do not have the necessary registration with our government to enrol overseas students in Australia on a Visa. The required registration for this is CRICOS ‘The Commonwealth Register of Institutions and Courses for Overseas Students’. The following link outlines the main steps to be taken to be able to study in Australia -www.border.gov.au. This will require applying for a student visa under the Vocational Education and Training Sector. However, you will need to have been accepted into a full-time study course by a CRICOS approved provider and then apply for the student visa. These normally take approximately 46 days to process. You may find other institutions in Australia that offer qualifications as an on-campus (in school) option who do have CRICOS registration. If I find I am struggling to understand any of the course material, what help and support can I get? We have a team of highly qualified lecturers who have worked in various areas of the animal industry (take a look at our ‘Meet Our Team’ page). Our lecturers are always on hand to answer any questions or provide further support, explanations or clarification of any of the course material. They will mentor and coach you through the course material when required. You can contact our lecturers via phone, email or Skype. Is the Australian Certificate IV in Veterinary Nursing recognised worldwide? You will need to check with your own country's registering body whether you will be permitted to conduct 'acts of veterinary nursing' (eg injections, monitoring anaesthetics etc) while under supervision by the co-operating veterinary practice. You will need to organise a work placement in a general veterinary practice where they perform routine small animal (dog and cats) procedures/surgery etc and this practice must have a gaseous anaesthetic machine and monitoring equipment, radiography equipment (xray and ultrasound) and be English speaking to prevent miscommunication. Are your qualifications and courses nationally accredited? Yes, our qualifications in Vet Nursing and Animal Studies are nationally recognised and accredited. Our company is fully registered by the Australian Government training registration authority ASQA (Australian Skills Quality Authority) and the qualification offered is the nationally recognised Certificate. We are supported and endorsed by the Australian Veterinary Association. Our registration authority can be viewed on the training.gov.au website, which is the Australian Government’s website for details of registered courses and training providers – View our details here.We strongly recommend you search the training.gov.au website for any training organisation you maybe considering. What is the difference between the course content AVT offers and other training providers? AVT offers high quality study material written, reviewed and delivered by Veterinarians, Animal Scientists and Veterinary Nurses with formal training qualifications. Our in-house training team have spent hundreds if not thousands of hours creating course resources for our units of competency across all courses. The difference between registered training providers course content across all RTO's including TAFE is often the units contained in the course and the quality of material. There are many units that can be included in a course and training providers nominate a selection of units they will offer to students. Our courses are broad based and give an excellent introduction to working with animals across all species. They provide a fantastic is opportunity to learn about many different animals and most importantly allow you to apply what you learn in the classroom to the workplace. To find out more about the units offered within each course visit the Course Content tab on our qualifications pages below. What age do I have to be to commence the Veterinary Nursing course? Due to the nature of the qualification including exposure to radiology equipment, pharmaceuticals, procedures and situations that require a high level of maturity, we require Veterinary Nursing students to be a minimum of 18 years of age or be turning 18 during the academic year. I have heard about an update to the veterinary nursing course. Can you tell me more about ACM40417 or ACM40418? For more information about the changes to ACM40412 Certificate IV in Veterinary Nursing to ACM40418 Certificate IV in Veterinary Nursing we recommend reading Important changes to the National Qualifications in Animal Studies and Veterinary Nursing Please note the new course code is ACM40418. ACM40417 was not released. The table below details the maximum allowable time you can take to complete our courses. Extensions are available on a case by case review. For more information about extensions please visit our Student Policies page. [table id=12 /] + The above time frames do not apply to students enrolled in the VET in Schools program. All VET in schools program students have up to 2 years from course commencement to complete either the Certificate II or Certificate III in Animal Studies whilst remaining a student of an Australian high school. After the initial two year period, extensions may be granted on a case by case basis. Fees will apply as outlined in the fees table. However the expected time frame for each course will be determined by each individual school according to the curriculum and school expectations. ++ACM40412 Certificate IV in Veterinary Nursing has been updated by the regulating bodies to meet the Standards for Training Packages. As such, ACM40412 has been superseded by ACM40418 Certificate IV in Veterinary Nursing. All students currently studying ACM40412 will be expected to complete the qualification by December 11th 2019 which is the cutoff date for issuing this qualification. No extensions can be granted. Students who do not complete ACM40412 by this date may be given the opportunity to transition to the new qualification. Due to the significant changes in the qualification and assessment guidelines, this will likely involve a significant amount of additional work for students who need to be transitioned. I want to study the full-time course on-campus, can you tell me about lectures and classes? You will attend on-campus lectures for 2 days a week and you will attend your veterinary work placement for 2 days a week. The remaining week day is your personal study day to complete all homework assigned to you for that week, including reading course materials, completing on-line assessments and assignments, study and revision for any in-class tests and revision of your practical skills workbook and assignments. You will also be required to attend excursions throughout the year. Your lecturers will assist you in managing your schedule to attend these events. Can course fees be paid off in instalments or do you require up front payment? None of our courses require up front payment, we offer flexible monthly payment plans with instalments for all students. Total course fees and payment plan structure vary with each course and individual circumstances. For more information, contact us. Do you offer concession fees? Concession fees are available to eligible students only through our courses which have been granted government funding. Currently this only applies to the Certificate IV in Veterinary Nursing for students that are residing within Western Australia. For more information on the eligibility criteria please see the Fees tab on this page. WA based students, studying the Certificate IV in Veterinary Nursing may be eligible for a government subsidised place (Jobs and Skills WA). You can find out more information by visiting the Fees and Entry tab on the Certificate IV in Veterinary Nursing page. You may also be able to apply for financial or government assistance such as Austudy. You can find out more information by approachingThe Department of Human Services (Centrelink). Does AVT offer HECS-HELP or VET Student Loans? Is there a mid-year intake for the full-time Vet Nursing course? No, the Certificate IV in Veterinary Nursing commences in February each year with applications open in August prior to year commencement. Alternatively, if this option suit you can choose our online study mode, meaning you can commence the course at any time during the year. For more information on how to apply visit our "Course entry" tab. What training package do you follow? We follow the national training package for Veterinary Nursing. The latest version of the training package can be viewed here. training.gov.au is the Australian Government Website for registered training courses and providers. Can I be exempt from the Workplace Practical Training if I have previous experience in a Veterinary Practice? Unfortunately no, it does not matter how much time you have spent in practice or amount of experience you have prior to starting the course, you still need to enrol in each unit to enable us to verify your practical skills. Your workplace supervisor may decide that you have the skills required based on previous observations, but we need to ensure you are completing the practical tasks with the theoretical knowledge you are obtaining during your studies. The only exception to this is if you have undertaken some previous practical training whilst enrolled in another accredited Veterinary Nursing Course. In this case you need to discuss this with your tutor. If you are working within a veterinary clinic then you may be eligible for recognition of prior learning (RPL). An application for RPL can be submitted at the time of application to the course. Can I do my Veterinary Nursing practical work placement on weekends? It is a general rule that we prefer you to do your practical work placement during the week. Often weekend practice is quiet and might only see emergency cases. If the practice you are considering offers a full service, including sterilisations on weekends, then it might be a possibility. You can discuss this with our Student and Industry Liaison Officer. Do I need to do the work placement with the same veterinary clinic or can I work in more than one workplace? Your work placement or practical work hours can be completed at one or more veterinary clinics if the option is available to you. Student placements within clinics are highly sought after so could prove difficult to find multiple placements, although it is more likely to occur over a longer duration study such as the online stream. To complete your placement at 2 or more work places, you must ensure all paperwork is completed by both work places and submitted to AVT. Can I complete my workplace practical training in a private, non-business environment? Or with my pet? All of our courses are vocational, which means that they are specifically designed to provide students with the skills, experience and knowledge to enter the animal care workplace. Working in an animal care facility, where you are responsible for a number of different animals and sometimes a range of different species on a daily basis is very different to caring for your own pets at home. Therefore to successfully complete your qualification you will need to secure a formal workplace practical training placement in a pet related business or organisation. Being able to understand and interpret the behaviour of animals that you are not familiar with. This is an essential skill in order to ensure that the animal is approached and handled in the most appropriate and safest way so as to minimise stress to the animal and reduce the risk of injury to the handler. The ability to accurately assess the health of an animal that you are not familiar with. As we know our own animals so well, we can often pick up on the early signs that something is wrong. However, being able to do this with animals that you do not know particularly well and may be in an unfamiliar environment such as boarding facility, rescue shelter or vet clinic requires a completely different set of skills and knowledge. Understanding of hygiene and infection control practices. In a facility where numerous animals are housed, it is vital to have a good understanding of the correct hygiene practices to ensure that all animals are kept healthy and to minimise the risk of the spread of disease and cross-contamination. Health and safety practices – working with animals can present a very unique set of risks and therefore it is vital that students are aware of not only the possible risks but also how to ensure they can minimise these risks at all times. Unsure of which course is best for you? Choosing a new career or just starting out is an exciting and sometimes daunting experience. Read our article about choosing the best course to suit your situation. We are a registered training organisation based in Perth, Western Australia run by veterinarians, animal scientists and veterinary nurses who combine outstanding industry knowledge with extensive experience in teaching. Copyright © 2017 Applied Vocational Training. All Rights Reserved.